I do believe that is one grimy little Princess! Dirt Princess! I have one of those, but she’s blond. Ain’t it cool??? Yes it is, particularly when we don’t have to scrub mud out of sweaty hair, scrub layers of dirt off of little bodies, and try to get dirt stains out of princess dresses! I just stand back and admire. Why don’t we have princess dresses? Dunno…don’t want to have to keep ’em clean, maybe? Yeah, probably. 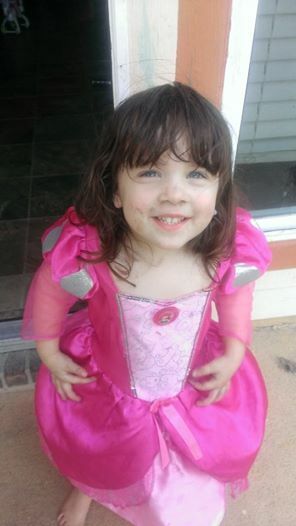 Princess dresses covered in dirt and various kinds of sh** just don’t look the same. And besides, we’re not princesses. We’re Goddesses. I have a T-shirt that says so.